A fun holiday dance camp that introduces kids to various dance styles – hip hop, contemporary, jazz, musical theatre, and more! The dance camp will introduce students to fundamentals of dance, focusing on isolations, spatial awareness, proprioception, flexibility and strength. The Dance Collective : Block 261 Waterloo Street #01-22 Waterloo Centre Singapore 180261. *If you prefer other times (eg 11am-1pm, 1-3pm or 3-5pm) please get in contact via the help tab below or via the By REQUEST button. 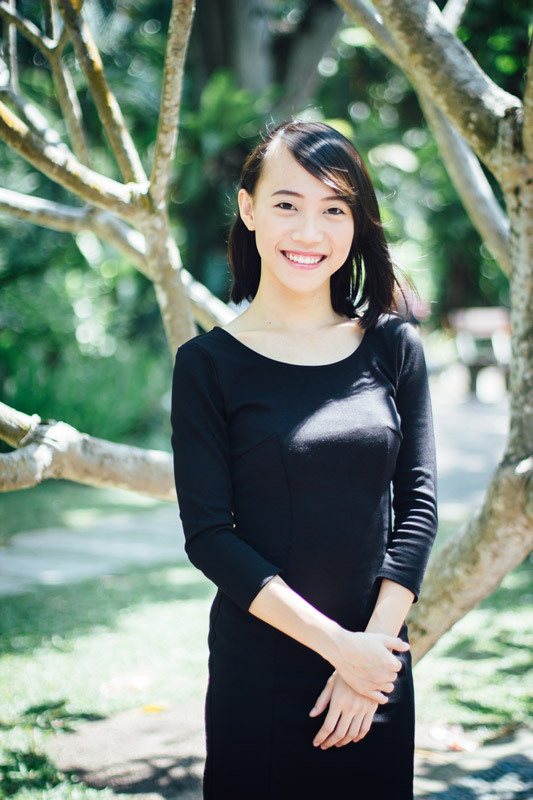 As someone with great passion for the Performing Arts, Rui Shan decided to pursue her interest ever since she joined Theatre Studies and Drama in Tampines Junior College. Subsequently, she continued to hone her craft as a professional artiste in LASALLE College of the Arts for 5 years, in which she attained her Bachelor Degree with First Class Honours in Musical Theatre and a Diploma in Performance. She is currently a freelance musical theatre and dance educator for young children and adults. Some of which includes regular dance and drama classes for young children at The Artground (aged 2-10), song and dance classes for young teens at Maddspace Studios (aged 7-16), Little Hands Montessori (aged 2-6) and Barreworks (aged 5-11), and showchoir classes and workshops for secondary school students (aged 13-17) with Glee Studios Singapore. For adult classes, Rui Shan teaches Jazz and Hip Hop classes in Amore Fitness. A performer at heart, she is also cast in many productions for children. Some of her recent works include Playtime at Esplanade (Bunny Finds the Right Stuff), Larva Musical on Princess Cruises, and Octoburst! Children’s festival at Esplanade. Rui Shan enjoys seeing children gain confidence, leadership skills and self-awareness through theatre, music and dance. She strives to become a better educator for children and will greatly cherish the opportunity to observe, learn from, and teach children. The theatre bug first bit Sharon when she joined her school’s drama club at the age of 13. Sharon enjoys how theatre allows her to expand the human experience and she seeks to bring that experience to her audience and in her students. Sharon furthered her training at LASALLE College of the Arts where she graduated with a BA(First Class Honours) degree in Musical Theatre. 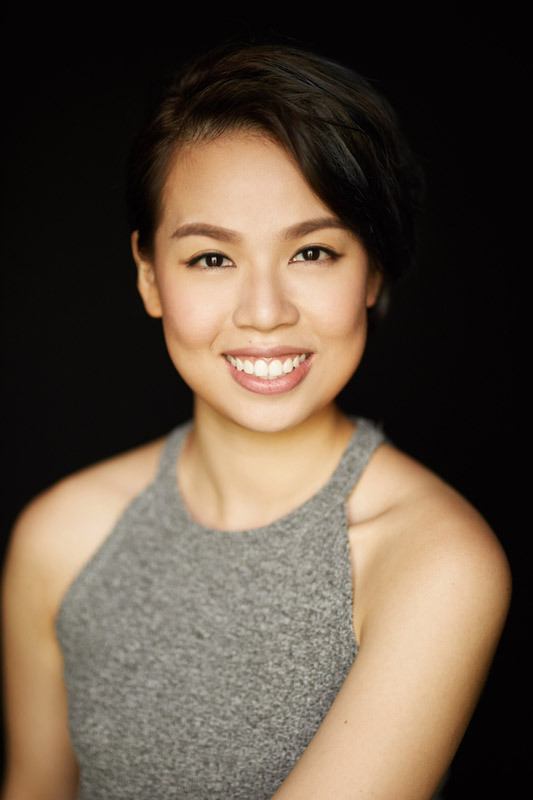 A freelance dance and theatre educator, Sharon most recent theatre credits include FOUR HORSE ROAD (The Theatre Practice); RED RIDING HOOD (SRT); and DETENTION KATONG (Dream Academy). Sharon enjoys sharing her love for theatre with children and finds it thrilling to witness their growth. She believes the performing arts can help children gain personal strength and confidence; which in turn will help them stride into the future with fearless abandon. 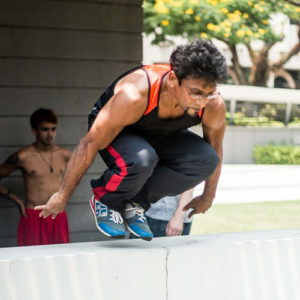 “We do what we can to protect our children, which is why parkour and kali are so important for them, to build confidence and strength to protect themselves when we can’t. Tushar is an amazing and inspiring teacher. His effortless skill combined with empathy, kindness, patience, humour, and an extensive knowledge of martial arts and self-defence has helped the children gain confidence and competency in a very short time.